Will You Like Me Now?' 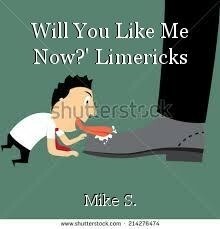 Limericks, poem by Mike S.
"You want to rumble? Bring it on!" for Dump exceeds it, by quite a bit! This page was created in 0.3541 seconds.